The concept is simple, to transform vacant city owned land into a thriving public space that is temporarily activated for the betterment of the community. Quartyard’s slogan is Your City Block and acts as the city’s very own backyard. 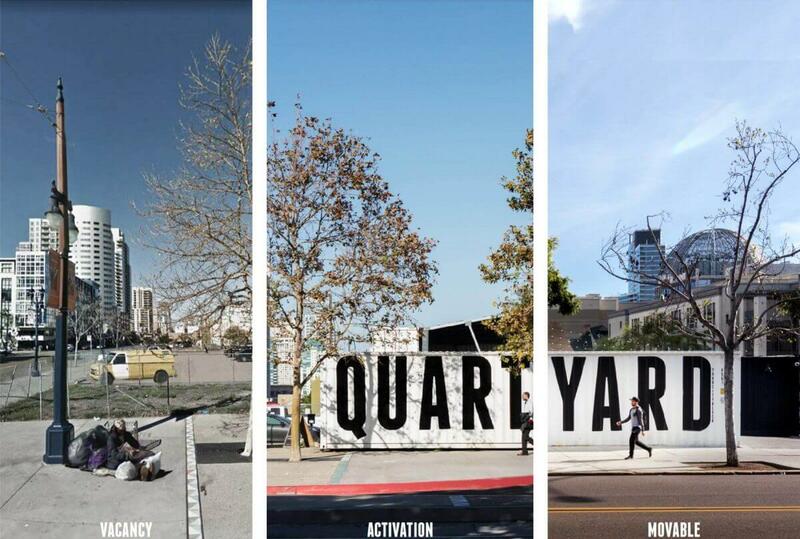 A collaboration between a local group of activators and the City of San Diego, Quartyard serves as a model for cities across the U.S. searching for economical ways to reinvent blighted lots while enhancing their communities and surrounding areas. Quartyard acts as both a response and a solution to publicly owned land that is destined to remain vacant for an extended period of time. Quartyard implements a year-round pop-up venue to activate the space using recycled shipping containers that serve as a temporary placeholder for future development. After three years at the first location, the City of San Diego sold the property to a developer for a planned high-rise housing development. 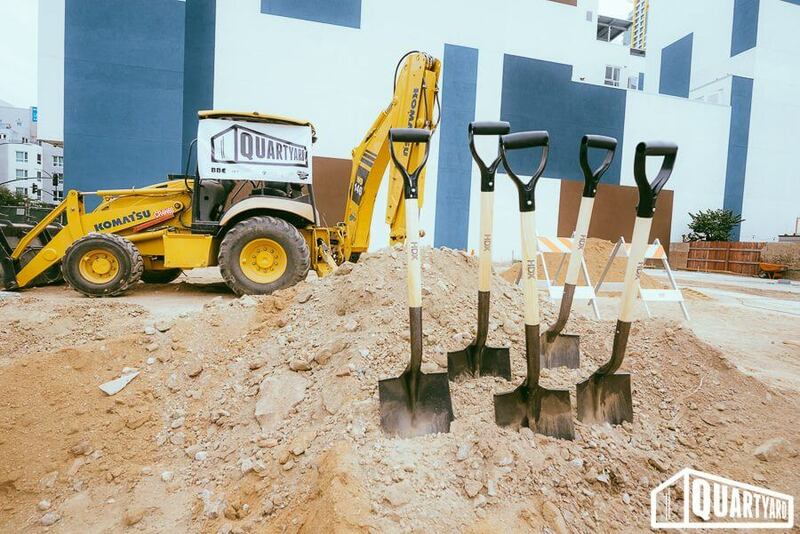 To make room for this new development, in 2018 Quartyard moved to a new vacant publicly owned property located at 1301 Market Street, remaining in San Diego’s East Village neighborhood. Quartyard is home to an eatery, dog run, full-service beer garden, event venue, art space and coffee shop. Open seven days a week, we play host to a variety of events such as outdoor concerts, street markets, weddings, cultural events and community activities. Activators are the teams and personnel that forge relationships within the community to activate the space on a day to day basis. They exhibit a passion for creating memorable experiences and are the heartbeat of Quartyard.